Käuferportal is Europe's market leader in connecting prospective online customers with specifically selected and verified companies. Due to our stringent and unique qualification process, we are able to thoroughly analyse the needs of each customer and find them the best companies within their region. Our unique process also ensures that we only match our partner companies with serious customers. Both customers and companies benefit strongly from Käuferportal. Käuferportal is your partner for professional online marketing using cutting edge technology. All our efforts have only one goal: to deliver you qualified prospective customers that you wouldn't have acquired otherwise in order to generate further growth for your business. Käuferportal offers you extremely useful tools that help you measure your success and enable you to react to customer feedback instantly. Your personal account manager at Käuferportal will be there to support you every step of the way in using us effectively as your new marketing channel. 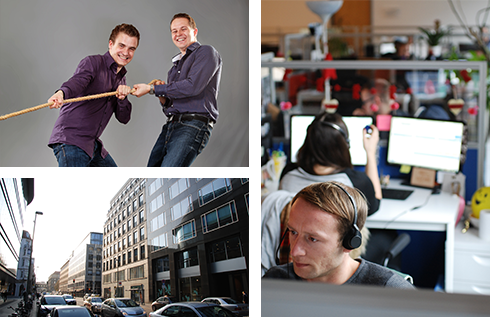 More than 300 employees are developing our unique service in six European countries. To continue our success story we are now expanding our services to the rest of Europe and beyond. We are constantly looking for innovative and dedicated people to join our team. in Germany has written about Käuferportal.